Newcomer Family Obituaries - Timothy Harry 'Tim' Mosley 1960 - 2019 - Newcomer Cremations, Funerals & Receptions. Timothy Harry Mosley, age 58, of Toledo, Ohio, went to be with the Lord on Thursday, January 31, 2019. He was born on July 17, 1960 in Indianapolis, Indiana to L.C. Mosley and Irene Mosley-Owens. Mr. Mosley was preceded in death by his father, Mr. L.C. Mosley. Timothy is survived by his mother, Mrs. Irene (Mosley) Owens of Toledo. 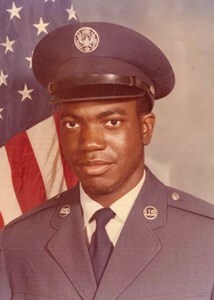 Mr. Mosley served in the United States Air Force, where he became a Disabled Veteran of the United States Air Force. He attended Calvin M. Woodward High School and Arsenal Tech High School, where he graduated from. Timothy was very peaceful, lovely and a kind hearted man, who had a wonderful sense of humor and had a love for art and music. Timothy is survived by his loving and dedicated mother, Mrs. Irene Owens; sisters, Julie Crockett, Lillie (Otis) Harris, Vantoria Mosley-Cargile, Bonita Mosley, Linnette Owens, Corey Mosley and Vera Mosley; nephew, Calvin Greer; nieces, Curtina Greer, Curtresa Greer and Bontia (Brian) Adams; in-law, Donzell Markray and host of nieces, nephews, cousins and dear friends. The family would like to thank Rob from ProMedica Hospice - home health care, for his diligent and loving care he provided to Mr. Mosley and his family. Timothy's family will receive guests on Friday, February 8, 2019 from 11:30 a.m. - 12:30 p.m. at Newcomer - Northwest Chapel, 4150 W. Laskey Rd. (419-473-0300) with his Home Going Service starting at 12:30 p.m. in the funeral home with Pastor Alan Coley officiating. Interment will follow in Toledo Memorial Park with military honors provided by the United States Air Force. To leave a special message for Timothy's family please click on the, "Share Memories" tab above. Add your memories to the guest book of Timothy Mosley. My condolences on the loss of your beloved son and brother. Know that my prayers are with you. Vantoria and family sending you and the family a warm embrace of peace and understanding. I am truly sorry for your loss. God bless. Dear family, I share tears with you even though I am not there. When I was a little girl Timmie was the most fascinating person I knew with the stories he would tell me. Yes, I know now that I was gullible, but he was my brother so everything he told me was the truth no doubt about it! I love that I had such a creative brother that told me these stories that I can carry in my heart always. Love You All. Lillie and Otis. My sincere condolences to the family...very sorry for your loss. My prayers are with you during this difficult time.